There you find yourself, reaching the goal of many, playing a round of golf with your boss. Although this may not seem like a big deal, a lot of promotions and business deals are stuck out on the links. What is even more important is that you do not look like a fool in front of the person who signs your paycheck. So, you step up to the first tee box and see a large lake on the right side of the fairway. You take your club back and hit what sounds and feels like a flush shot. As the ball sails through the air, you notice that it is starting to turn to the right and straight toward the lake. Oh no! You think to yourself, I have just hit a slice! Now, this thought will be stuck in your head and it will ruin this all-important round. 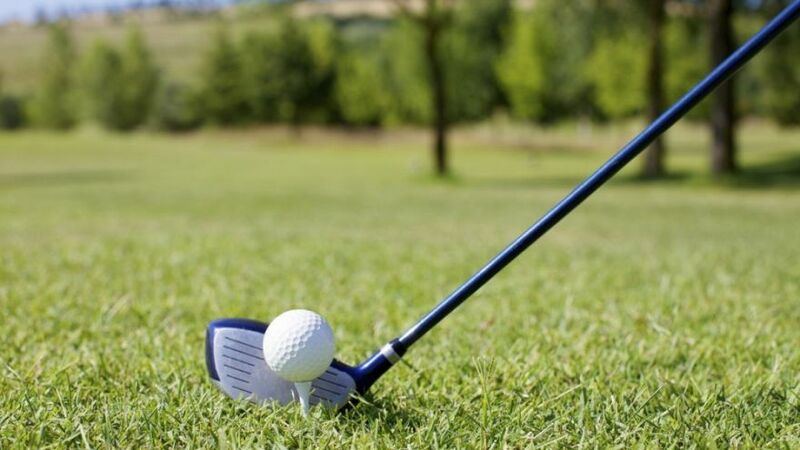 The relieving news is that this doesn’t happen only to you, the biggest mistake made by amateur golfers is slicing the golf ball. A slice is when your golf ball turns very hard to the right if you are a right-hander. and to the left, if you are a lefty. Tired of seeing your golf ball go everywhere except where you need to go? By reducing and eventually eliminating the slice, you can improve your performance and get a great score each time. The following tips offer a simple approach to fix this huge problem. Many golfers make the mistake of thinking excessively or analyzing their swing in surplus. Have you heard a saying that says: everything in excess is bad? It’s like that in golf too. Clear your mind before each swing and simply visualize your strategy. In other words, focus on the path the ball needs to take to get to the desired location and where it should land. The rest will flow naturally. Avoid making your swing plane over the top. Your swing plane is the path that the club travels around your body. To visualize the optimal swing path, imagine having a hula hoop around your body that starts at your shoulders an ends around your knees. The hula hoop should be slightly off 90-degrees. Now, imagine drawing a line from the back of your shoulders to the front of your knees. This is the approximate angle to imagine the hula hoop. Your club should travel along this plane. What happens in an over-the-top swing is the golfer follows the plane on the way back, but on the way down, the problems begin. At the transition of the backswing to the forward swing, the golfer goes off the plane by coming over the top of this plane. This not only causes a huge loss of power, but it also causes the much-feared slice. The slice happens because the golfer is way over the top of the plane and when they finally come in contact with the ball, they have a very open clubface. The way to fix this is to make sure your swing comes from the inside. 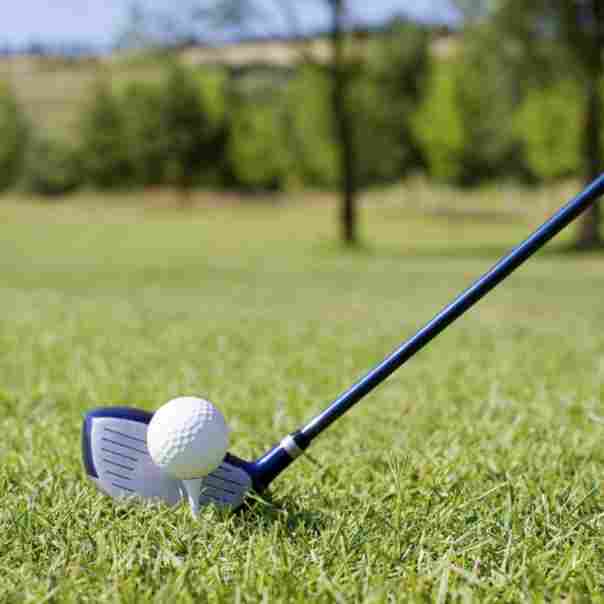 Usually, golfers who slice the ball tend to hit the ball very hard. There may come a time when you have no choice but to hit the ball with all your might, but what you need to do in this situation is to relax and take a deep breath. Breathing is very important in the swing mechanism. The swing should come easily all the way to the follow through. To help visualize an angle better, make a straight line with your ball with the logo pointed in the direction you want your ball to travel. Having a mark on the ball will serve you as a guide, making it simpler to drive the golf ball properly with a clean shot. In addition, this small mark can also be your biggest ally because you can use it as a director at the time of the putting, making it easier for you to visualize your putt line. Another way to make sure you have correct alignment is to use an alignment stick. 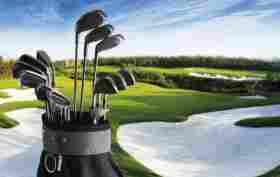 If you do not feel like purchasing an alignment stick you can simply use your golf club. To use the alignment stick or golf club, place it down on the ground in front of you and make sure to point it at your target. After you have the stick pointed at your target, move your feet right next to the stick so you know your body is aligned. One of the biggest mistakes golfers make is aligning their body in the wrong direction and using their swing to compensate for this. Nearly every single time, this will result in a large hook or a slice. To be more exact, this is one of the most important elements for a golfer. If your body is not properly aligned and positioned you will surely not be able to make the ball go in the proper direction. It is important to always flex your knees slightly, keeping your feet shoulder-width apart. This will ensure that your body is properly balanced. You should feel the weight of your body on the balls of your feet. Your shoulders should be relaxed and ready to take on your upcoming swing. Instead of keeping your head straight ahead, you should tilt your head up and slightly to the right. This will help your neck embrace the upcoming swing. The way you hold the grip is also very important to your swing. Low grip tends to be the main cause of a golf slice. Finding a balance between a very tight or very weak grip is a big challenge for some golfers, so make sure how you are holding your club’s grip because the right way to hold it is in a neutral way. When you apply the right pressure, there should be no tension in your arms or wrists. The slice can be the most frustrating thing to fix in all of golf. This is because there can be many reasons that lead to a slice. Always remember that a ton of practice will always lead to results. Go to the driving range and work on your swing. The best thing to do is to get each element of the swing correct. The easiest way to do this is to swing slowly and become in tune with each element of the swing. 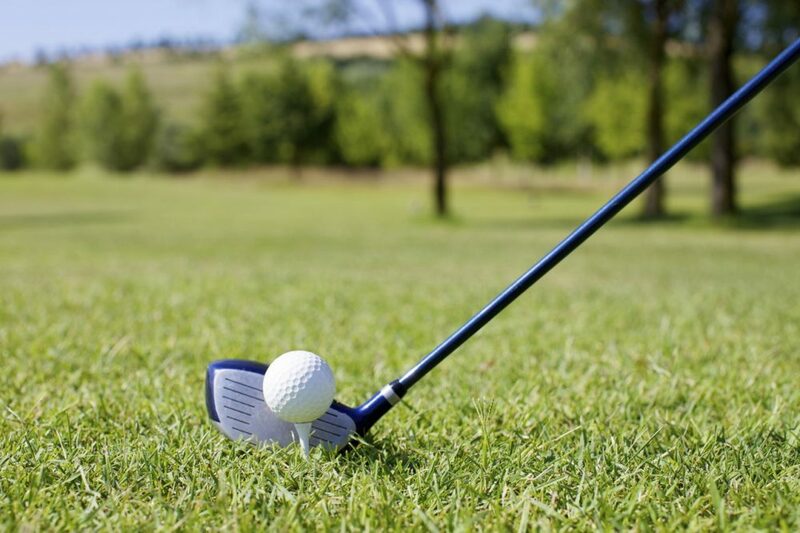 ThoughtCo: What is a Slice in Golf?